Don't miss out on this showcase of student achivement. 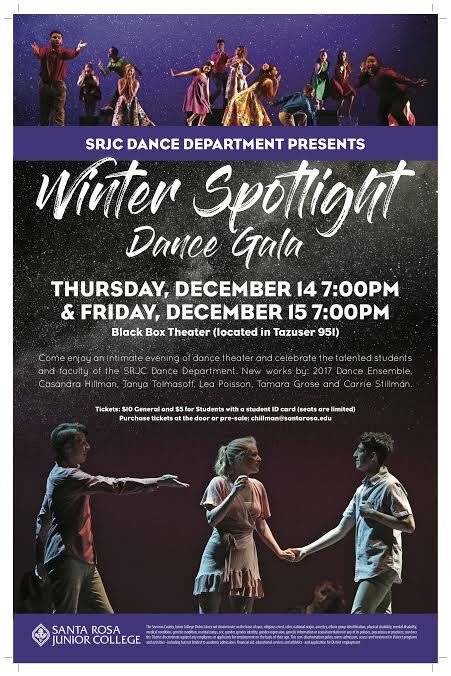 This year’s Winter Spotlight Dance Gala is a celebration of students’ hard work, commitment and talents at Santa Rosa Junior College. The show will consist of about 30 dancers spotlighting their advanced dance techniques. The dance gala shows the community and the school what students learn in dance class and the dance department overall. The intimate environment at the Black Box Theater will make you feel more involved throughout the show. The night consists of a variety of dance styles, including jazz, contemporary, hip-hop, classical modern and ballet. Group and solo performances will be showcased as well. Lombardo is in his last semester at SRJC, and this will be his last performance before transferring to Santa Barbara City College in the spring 2018. “If SRJC students are interested in dance and are looking for an evening of entertainment, come and enjoy the show,” said dance coordinator Cassandra Hillman. “Be open minded to all the possibilities as a dancer or as an audience member. 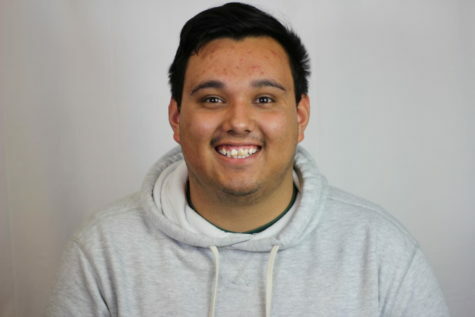 This dance show is a good way for students who are interested in dance can get an idea of what the SRJC dance department is all about,” Lombardo said. The Winter Spotlight Dance Gala seats close to 100 with additional floor seating for kids. Show dates and times: 7 p.m. Thursday, Dec. 14 and 7 p.m. Friday, Dec. 15 at the Black Box Theatre in Tauzer Gym 951.